Bariatric Surgery Cuts The Risk Of Death Years Later : Shots - Health News People considering weight-loss surgery haven't had much evidence on long-term risks or benefits. A study finds lower death rates after surgery, even for people who were older and less healthy. A lap band displayed on a model of a human stomach. It creates a small pouch at the top of the stomach that makes people feel full more quickly. Bariatric surgery is being widely promoted as the solution for people who are extremely obese, but so far most of the studies haven't followed enough people for enough time to really know if surgery helps improve health long term. A study of patients who had the surgery through the Veterans Affairs medical system could help. It followed 2,500 patients who had the surgery between 2000 and 2011 until December 2013. About 6 percent of them had died of all causes five years after surgery, compared with 10 percent of similar patients who hadn't had surgery. By 10 years out, 14 percent of people who had surgery had died, compared with 24 percent of the control group. Most of the people were men, which is a plus; earlier studies of the procedure have used women who were also younger and healthier. These participants had an average age of 52, and a body mass index of 47, which means someone who is 5 foot 8 would weigh 310 pounds. And they were more likely to have high blood pressure, diabetes and other problems associated with excessive weight. A BMI of 30 or above is considered obese. One in 3 adults are obese, according to federal data, and 1 in 20 are extremely obese. Three quarters of the people had gastric bypass procedures. 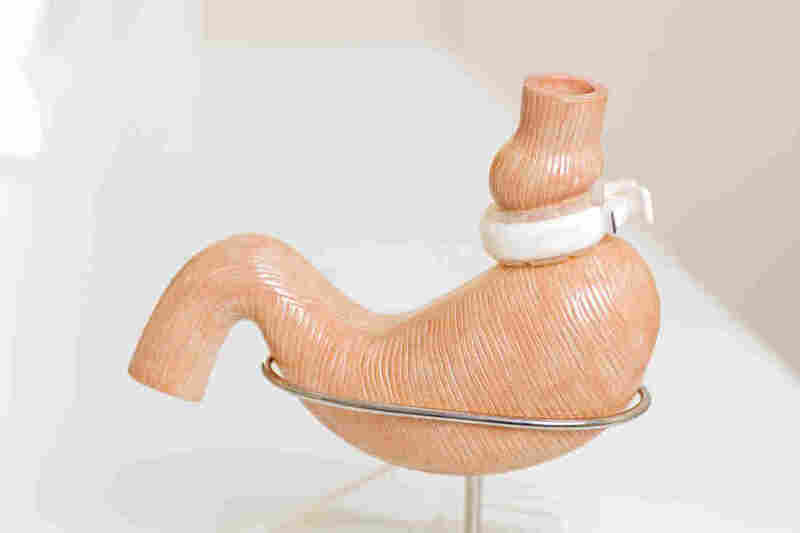 About 15 percent had sleeve gastrectomy, and 10 percent had adjustable gastric banding. The study was published Tuesday in JAMA, the journal of the American Medical Association. An earlier take from the same study, published in 2011, found no survival benefit from surgery. But it included just 850 people, about one-third the number in this study. So it looks like sample size does indeed matter, especially when you're looking for a result that, though as serious as it can get, still affected a minority of the people involved.